Are you looking for a company that offers term paper writing services that are both affordable and of high quality? 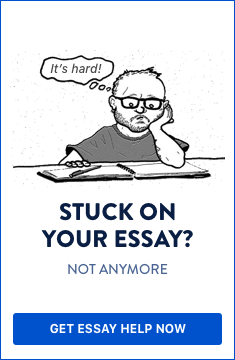 Solidessay.com has seasoned writers who will ensure that the term paper that they send you is of the highest quality and that it matches your specifications. We offer cheap term papers that are written by expert writers, since we are well aware that most of our clients are students and we are not out to manipulate them in any manner. Our fair prices cannot be compared to any other company and this comes with a perfect package of high quality. The writers that you get to interact with as your term paper order is being written will be available at your service, at whatever time until your order has been delivered and you approve it. We are able to offer term paper writing help at all levels from the highest to the lowest; owing to our expansive range of writers who have varying degree levels and in a variety of study areas. Every area of study is catered for so do not hesitate to send in your order even when you feel the field might be a bit rare. There will always be writers on call at any given time of the day since they work in shifts so that you are free to send in your order at any time. We have an active customer care team that is responsible for taking the orders and ensuring that every necessary detail has been filled in correctly then a suitable writer is allocated to it immediately. If you have any questions that require immediate answers, our support team will always be ready to give you the answers as soon as possible and in the best way that they can. When you make your first order with us, we will create a personal account for you where we send all your finished papers. Every term paper that we write for you will be 100% free of plagiarism and you will have access to a full quality report. Solidessay.com is a dedicated company that will always be ready to offer the very best services to its customers because you are the people who keep us in business. Let your term paper stand out, order with us today!